This DVD set is sure to become one of Barry’s most popular sets ever! 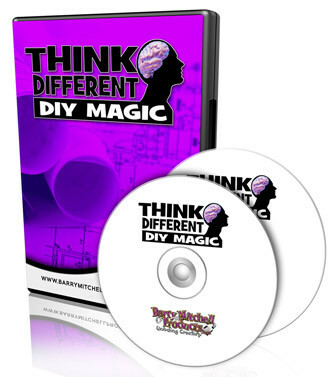 You’ll discover some of the strongest magic Barry has ever created and it’s all DIY on a budget. The “Random Destiny” effect will show you how a simple principle can be stretched further when you “Think Different.” When you learn the “Eight-Card Solution” you’ll quickly say it alone is worth more than the cost of the DVDs. BONUS: Comes with PDF companion book and several original artwork files, making this a true DIY DVD set. So much content it takes 2 DVDs.